Located on the popular Bedgrove development, and offered with no upper chain this studio apartment - which benefits from being converted into a one-bedroom comprises; security entrance with stairs rising to all floors, bedroom area, bathroom, lounge area, fitted kitchen, permit parking. 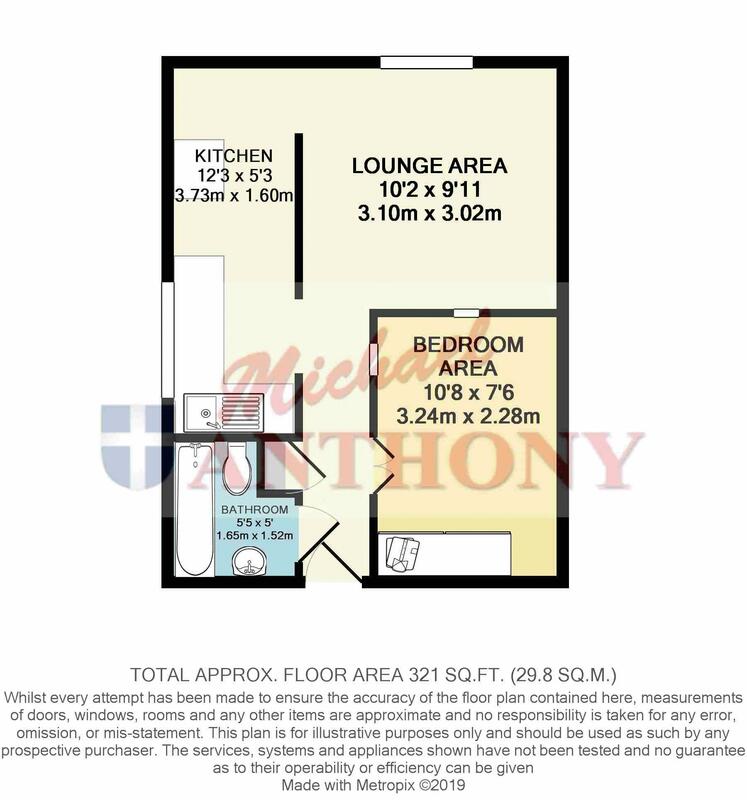 Call Adam for further information or to arrange a viewing. Security entrance to communal hallway. Stairs service all floors. Doors to all rooms, door to storage cupboard with power and light. Double glazed window to rear aspect. Range of base and eye level units with roll edge work surface, stainless steel single drainer sink unit with mixer tap, space for cooker, plumbing for washing machine, space for fridge/freezer. Space for double bed and wardrobes. Suite comprising panelled bath with mixer tap and shower over, low level w.c. pedestal wash hand basin, heated towel rail, extractor.